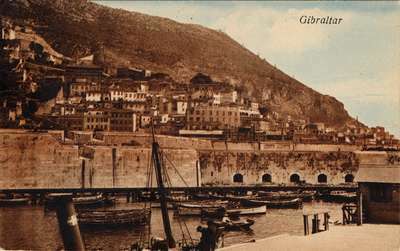 A postcard of Gibraltar sent by 25-year-old Agnes Mary Kitchen to Rev. R. B. Layton, San Fernando, Trinidad, B.W.I. Land here this P.M. and have a two hrs. drive. It seems ages since we left home. Will land on Friday at Naples. I would give a good deal to be home. Don't tell.